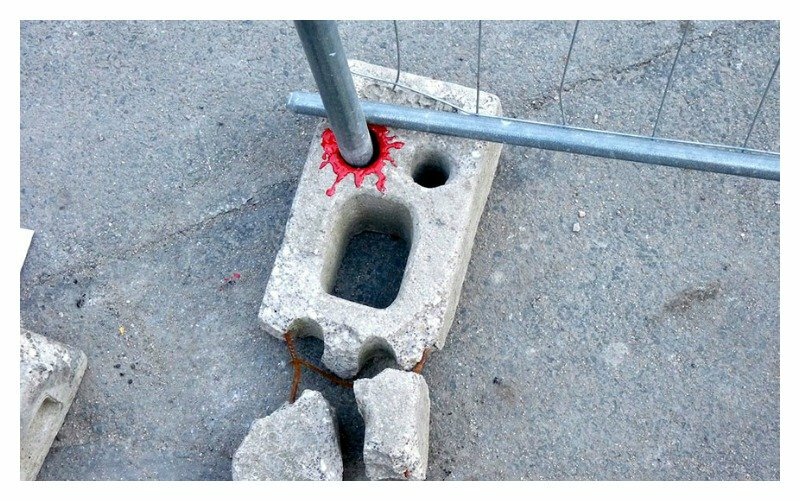 It only took some red paint and a strategically placed pole to create this cool piece of art found in France and aptly named Lost Eye. Ouch! 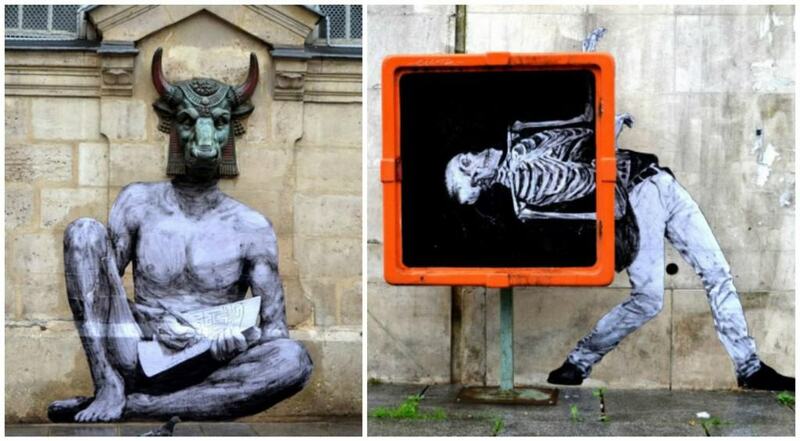 French street artist, Levalet created a series of innovative 3D art. The unique thing about this piece is that it is made from wheat-paste and paper cutouts! This piece was created for the 2012 Magic Art Special Exhibition which was held in China. 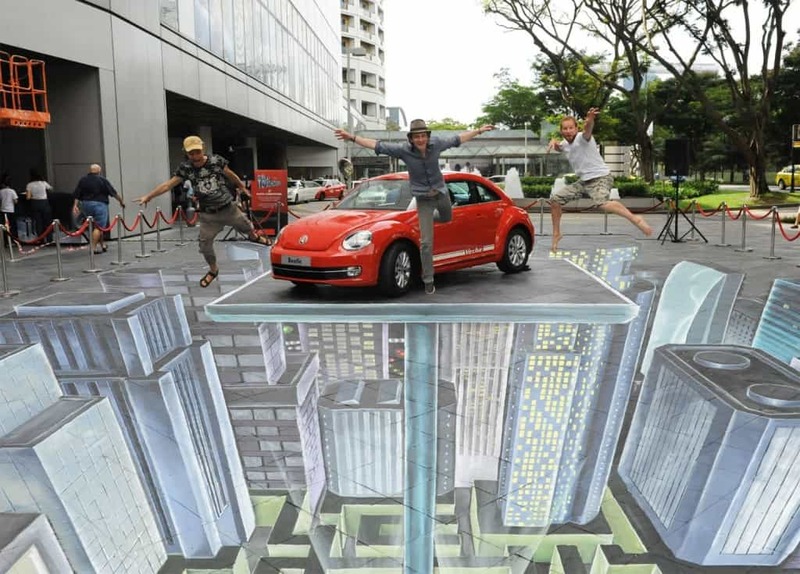 A south Korean artist created the anamorphic painting as part of his collection, which allows passersby to interactive with it. 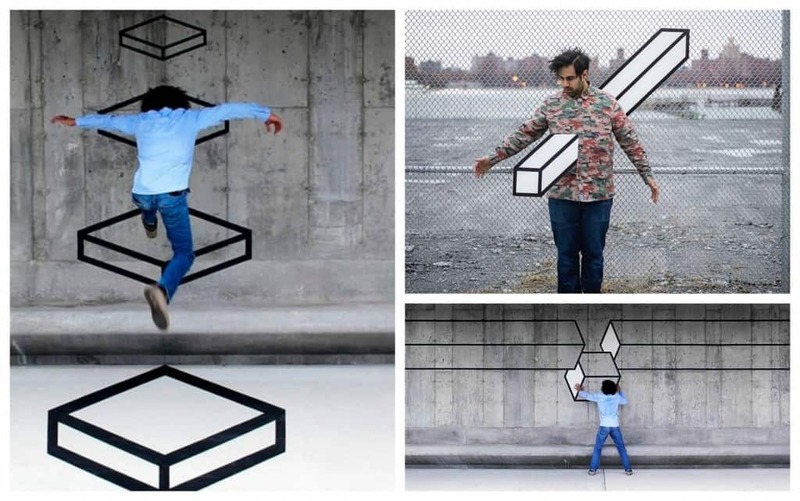 Artist Aakash Nihalani has, for years, been animating the streets of New Delhi, Vienna and Brooklyn with his work of geometric shapes. He has made a name for himself creating a unique art-form known as ‘illusion tape art’ where he works with tapes, yes tapes! The artist explains that he likes the flexibility of the material and the fact that tape is not damaging to the built environment which he works with. 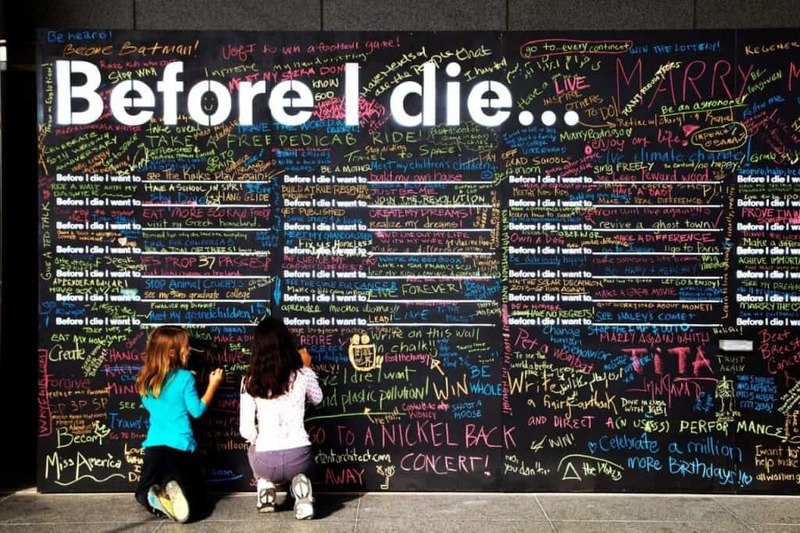 The ‘Before I Die’ wall was meant to be a single experiment but gained global attention and has now been created in over 70 countries around the world. This global art project allows people to share their personal aspirations in a public space. The wall starts off with the sentence ” Before I die I want to….” and passersby are allowed to finish the sentence by filling in what they want to do before they die. This amazingly cool street art is found in Martinique, and was created by street artist Nuxuno Xan. 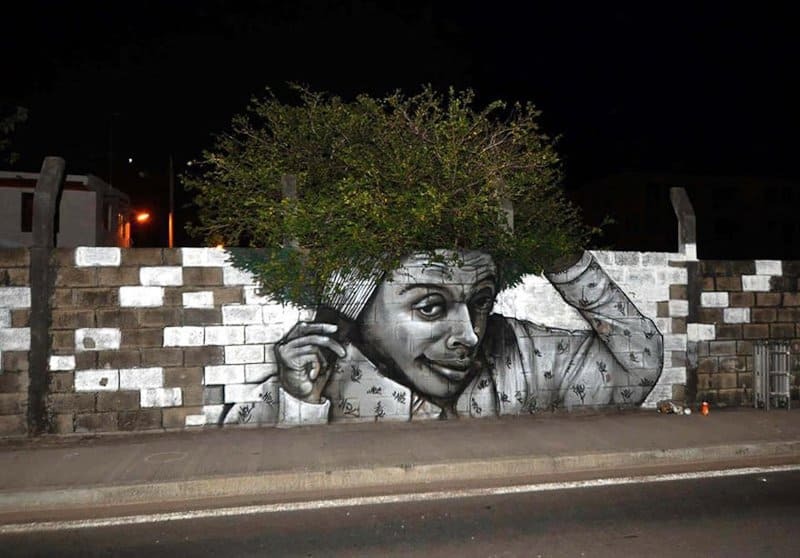 Nuxuno used the tree behind the wall of this mural to create a perfect afro for this piece. 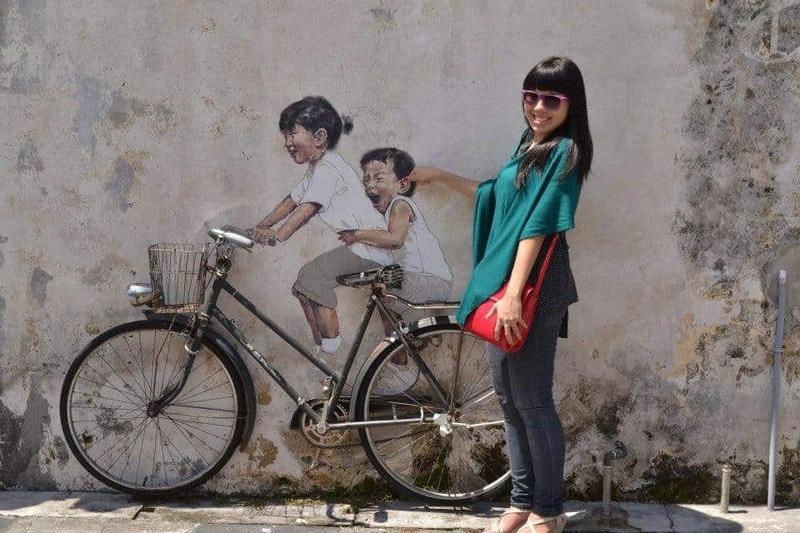 This artist found a creative way to make the artwork interact with its environment. 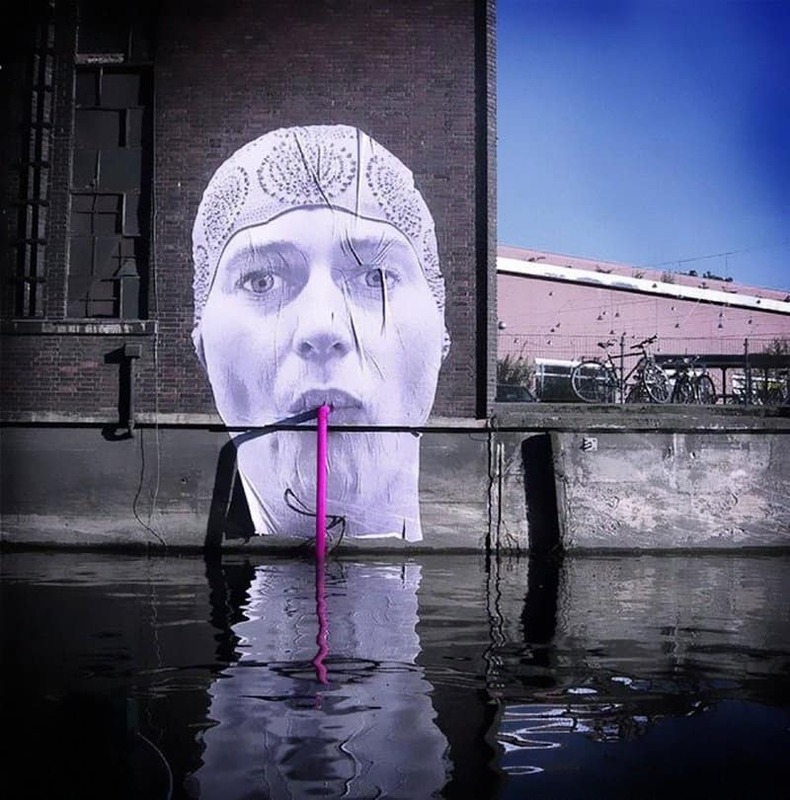 He used this pipe as inspiration and strategically painted a woman’s face around it, to make it seem as if she is drinking from a straw; now that’s cool! This piece by Polish artist Natalia Rak, titled ‘Legend of Giants’ was painted as part of the ‘folk on the street’ art festival in Poland. 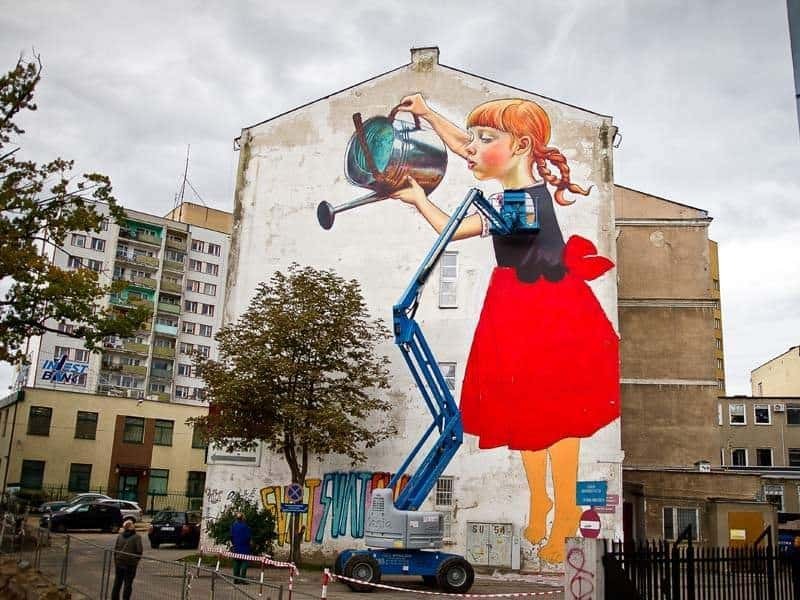 Natalia seamlessly incorporates the tree planted below with the mural of a young red haired girl, clad in traditional Polish garb and holding a water can. The image is made to interact with the environment as the young girl seems to be watering the tree. I’m not sure if Bruce Lee is to blame for this broken frame seen in France, but it sure looks that way. 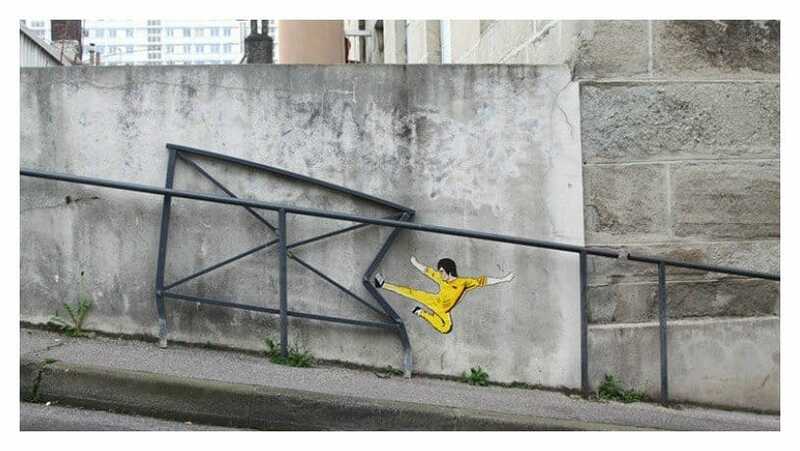 This street art features the martial arts legend and actor doing one of his best moves on a dented frame. As if Jack Nicholson didn’t scare us enough in his psycho thriller, The Shining, people now have to relive this scary memory every time they walk past this haunting piece located in France. 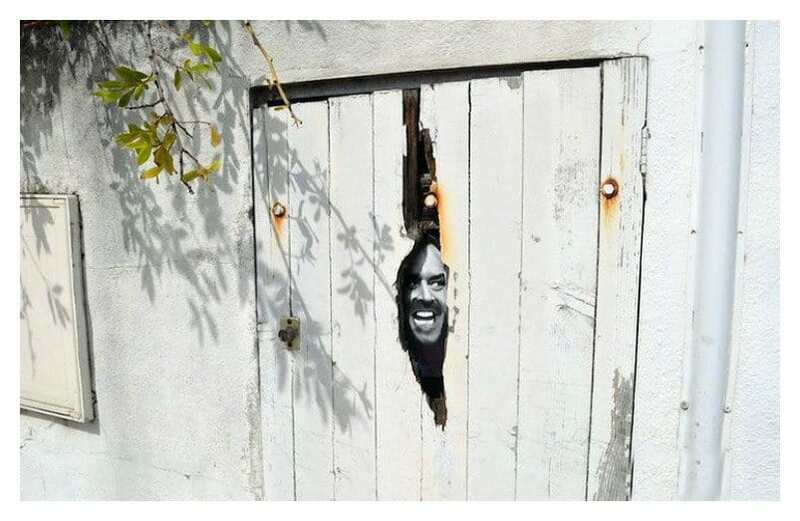 The artwork shows a door with a huge hole, with Jack Nicholson’s psychotic character eerily peeking through the cracks. The Crown fountain is featured in Chicago’s Millennium park. It was designed by Spanish artist Jaume Plensa and consists of two 50-foot glass towers at each end of a shallow reflecting pool. 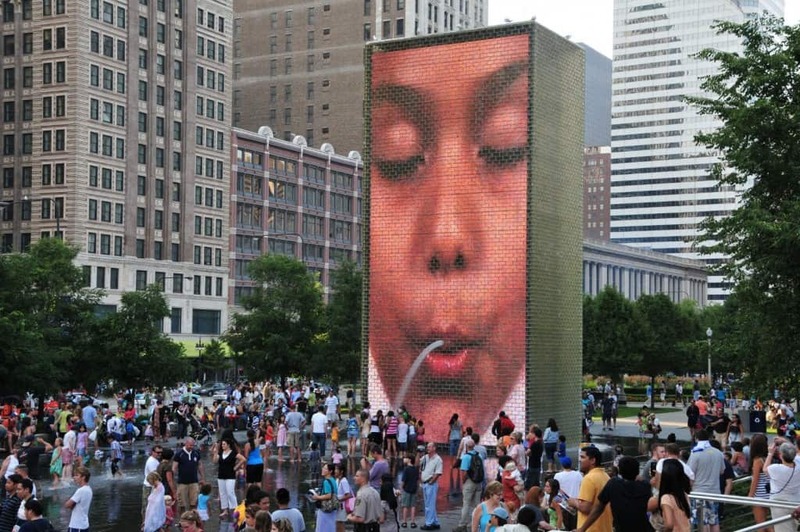 The fountain has LED screens which project images of Chicagoans. Water flows through an outlet in the screen to give the illusion of water spouting from their mouths. 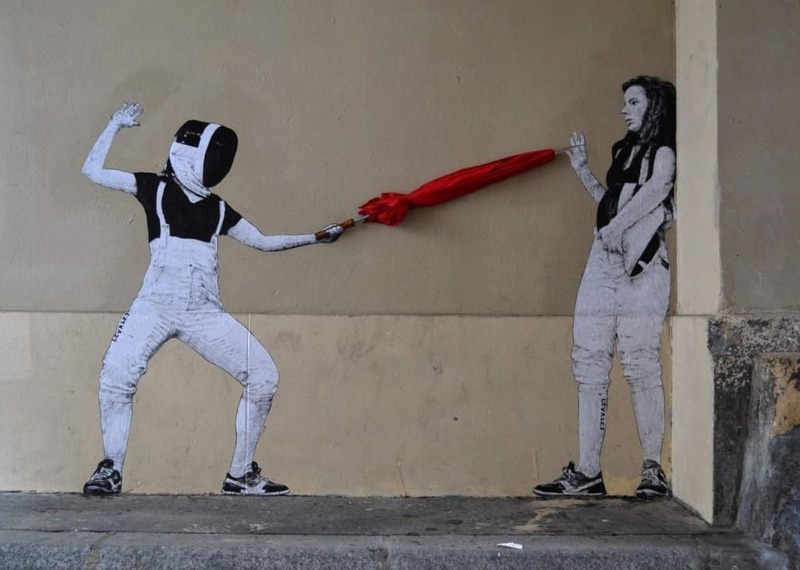 French artist, Levalet has a way of turning everyday objects into unexpected and humorous scenes on the streets of Paris. In one instance he turns a bullhead sculpture into a minotaur and in another a display box for advertisements is artfully transformed into an x-ray machine. As scary as it looks, these are not the hands of someone trapped in an underground dungeon. 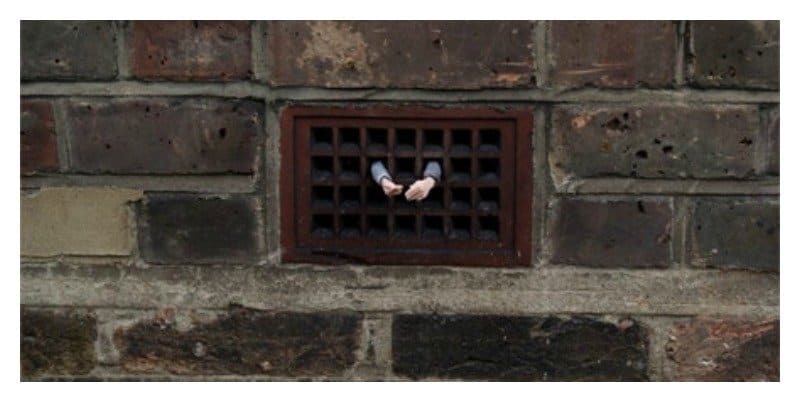 This crafty artwork is actually just clever street art made to look like tiny hands protruding from an air vent. 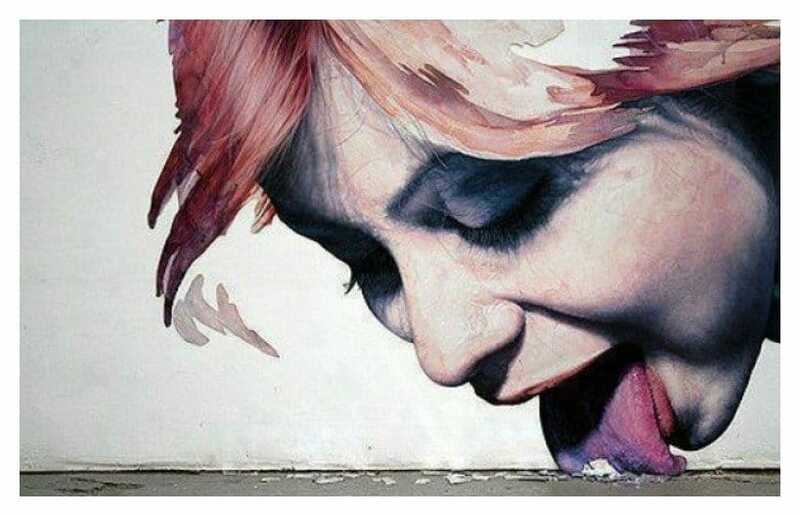 This somewhat cringe-worthy piece by Adam Kruger shows the image of a woman licking what appears to be garbage off the floor with her tongue. Cool, but gross! I think the artist’s intent on this one was to scare people to death. 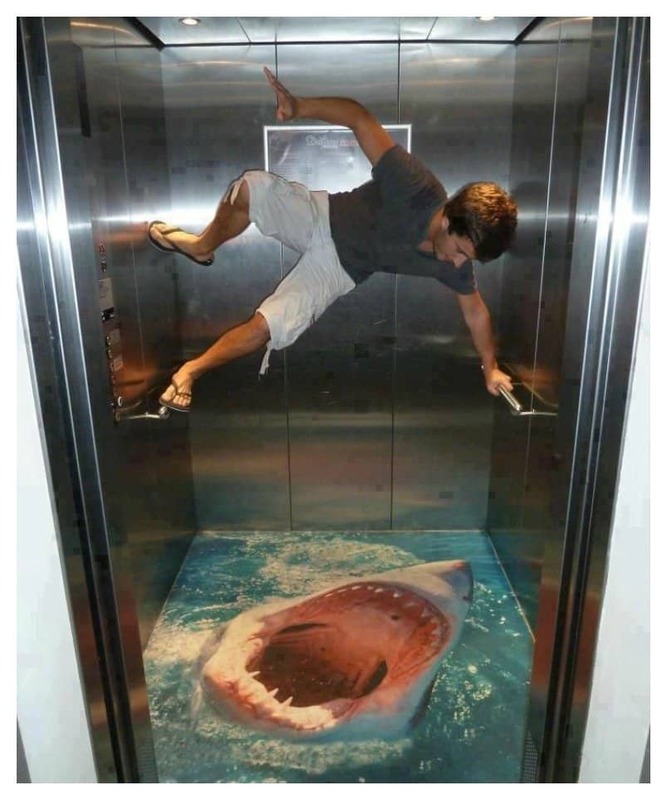 Inside this elevator you will find a very realistic image of a humongous shark, with razersharp teeth, emerging from the ocean ready to devour anything and everything in its path. 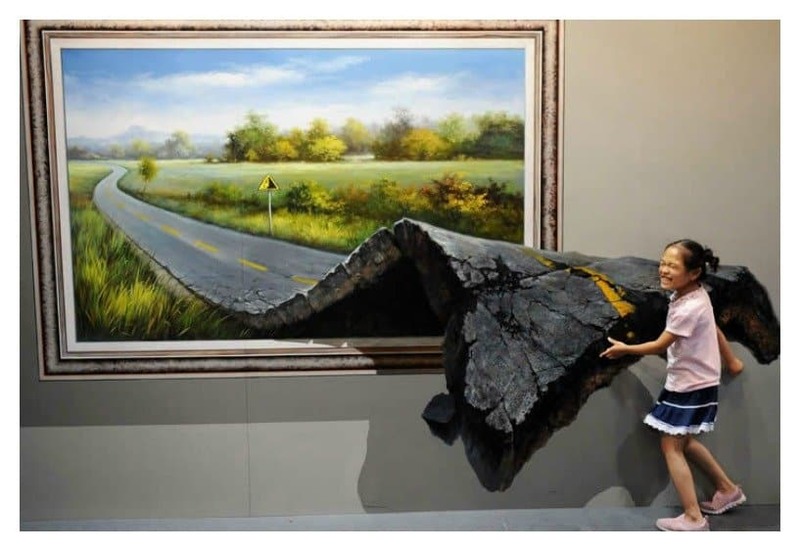 Now that’s the work of an ‘evil’ artistic-genius! 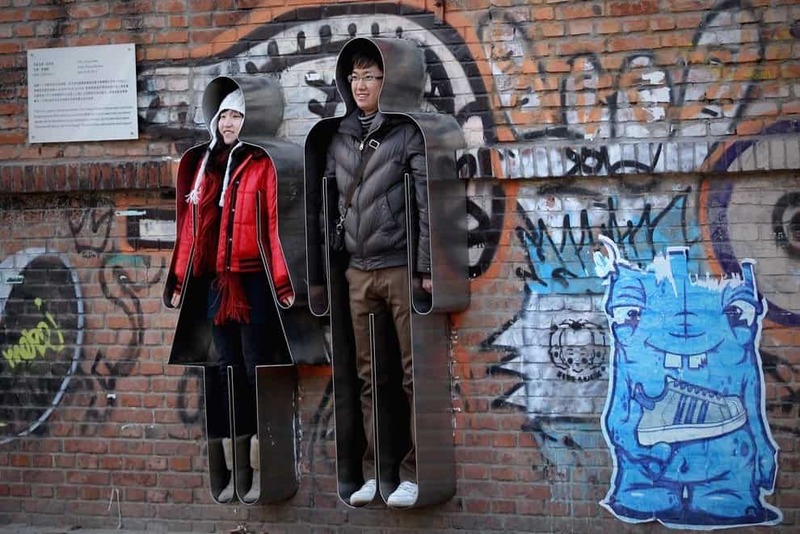 This simple yet crafty art piece, found in Russia uses a street lamp in the creative process. 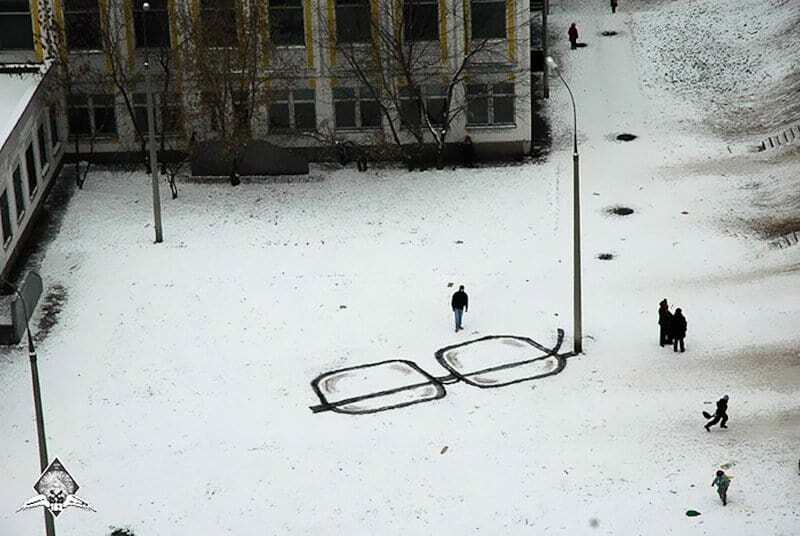 The artist draws a humongous pair of glasses on the ground while incorporating the street lamp as one of its handles.